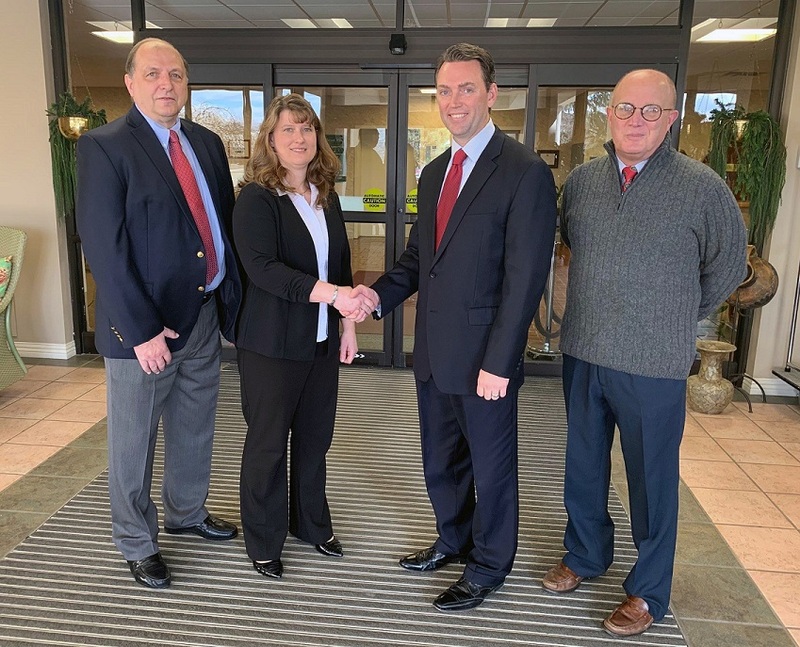 The boards of directors of both Jefferson Manor Health Center, a Brookville-based continuing care retirement community, and Penn Highlands Healthcare signed a letter of intent in October of 2018 that paved the way for this affiliation. “As Penn Highlands Jefferson Manor, we will continue our commitment to providing the highest standard of care and quality of life for our residents,” said Dr. H. Ed Richards, chair of the PH Jefferson Manor Board. “It made perfect sense to partner with Penn Highlands, and we are proud to join an organization whose mission of providing exceptional care while maintaining a reverence for life aligns so perfectly with our own. According to Richard Pfingstler, chair of the Penn Highlands Healthcare Board, “this affiliation has expanded the post-acute care strategy of our health system. “We are proud to welcome PH Jefferson Manor to our system,” said Steve Fontaine, chief executive officer of Penn Highlands Healthcare. PH Jefferson Manor is a continuing care retirement community located in Brookville, Pa. It originally opened its doors in 1901, and was relocated into a new nursing home facility in 1977. Independent living services were added in 1984, followed by personal care services in the early 1990’s. PH Jefferson Manor offers residents care through its full complement of living arrangements on its campus, including 160 skilled nursing beds, 48 personal care beds and five independent living residences. PH Jefferson Manor employs approximately 175 staff members, and provides comprehensive physical, occupational and speech therapy services as well as a secure dementia/behavioral unit for its residents. Penn Highlands Healthcare was officially formed on Sept. 30, 2011, and is comprised of four hospitals – Penn Highlands Brookville, Penn Highlands Clearfield, Penn Highlands DuBois and Penn Highlands Elk – that have served area communities for the past 100 years. Its business continuum also includes a home care agency, Penn Highlands Community Nurses; a long-term care facility, Pinecrest Manor; a senior residential living facility, Elco Glen; and, now, PH Jefferson Manor. Through this partnership, Penn Highlands Healthcare has evolved into an organization with approximately 3,582 workers in 100-plus locations throughout 12 counties in North Central/Western Pennsylvania that include community medical buildings, outpatient facilities, surgery centers and physician practices. Providing exceptional quality care to the region, it has 341 physicians and 126 advanced practice providers on staff. The facilities have a total of 484 inpatient beds. The system offers a wide-range of care and treatments with specialty units that care for cancer, cardiovascular/thoracic, lung, neonatal and high-risk pregnancy patients. This is a major, major improvement.